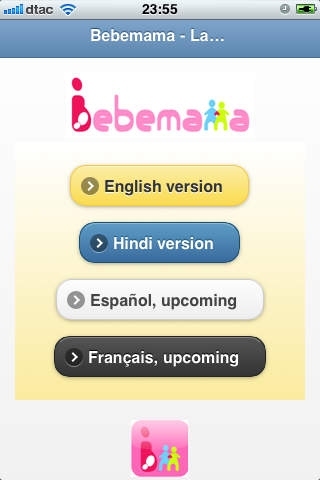 The Bebemama app provides free access to maternal health information through mobile phones. Learn more.. The Bebemama project seeks to take advantage of the increasing reach of mobile phones around the world to disseminate health information to women who are not able to reach it through other means. * Source: Trends in maternal mortality: 1990 to 2008, World Health Organization, UNICEF, UNFPA and The World Bank, 2010. ** Source: Measuring the Information Society, ITU,2010. 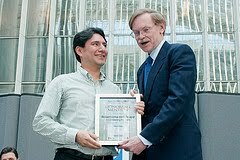 Robert B. Zoellick, President of the World Bank handing award to Bebemama at the Apps for Development competition. A Facebook application 'a la Farmville' to protect the environment and a mobile app to educate expecting mothers, both created by Mexican developers, received praise and honorable mentions at the World Bank's Apps for Development competition last week. Rodrigo Lopez and Claudia Gonzalez' TreePet project and Jorge Martinez's Bebemama secured a place among 15 shortlisted projects selected from a total of 107 entries that received more than 11,000 votes cast online.